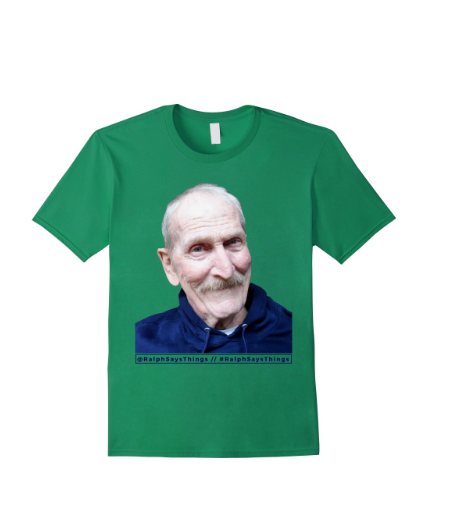 Delighted to report that the first Ralph Says Things t-shirt is available on Amazon. It took seven or eight months to be approved, but hat acceptance email came through in January. Delighted are we Newcombs, on that score! Currenly Amazon Merch does t-shirts (regular, premium & long sleeve for our level) and once we graduate up the ladder Hoodies. How exciting is that? 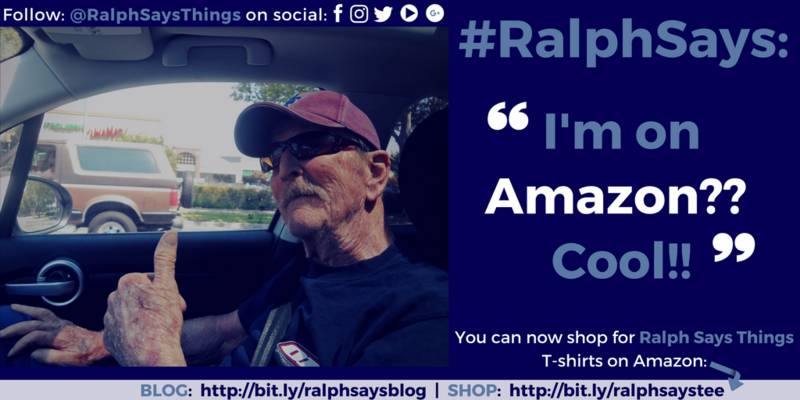 Not only would we appreciate any t-shirt sales or "follows" of Ralph Says Things on social media (he's @RalphSaysThings most places) but we need ideas of t-shirts. The "Old's Cool" products sell well on Red Bubble (notebooks, shirts etc) - and every time I wear mine I get people complimenting me on it....But we need fresh ideas - about old men, perhaps to do with Security, famous quotes (pre-1923 preferably due to copy right). Ralph is rather obsessed with his neighbors, aka the squirrels. He loves the little guys. They come right up inside his door and beg for their peanuts. Maybe we need to come up with some t-shirt ideas about that then. 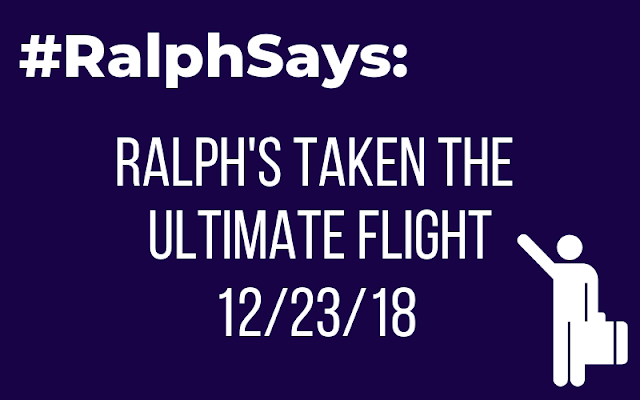 Every conversation with Ralph currently features some mention of the little rascals. 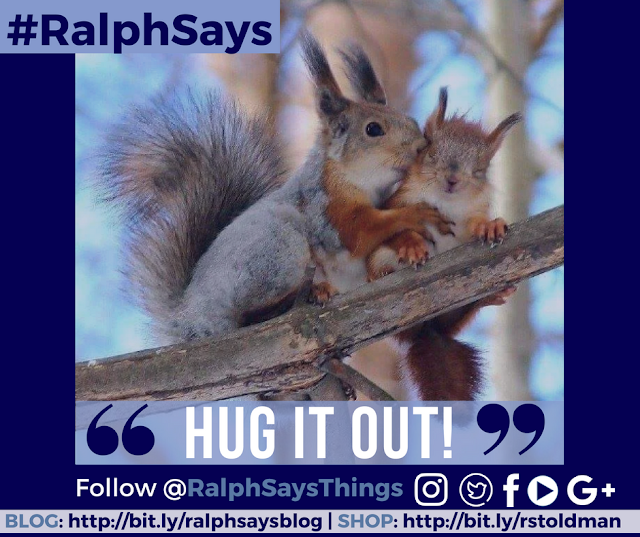 If you haven't already then please follow Ralph Says Things on Social Media - Instagram, Facebook, Twitter and Youtube. Though he doesn't really understand it all, he does rather get a kick out of hearing from his followers! So do reach out and say hello and tell him how you are and where you are! You may want to pop by the Ralph Says Things Shop over on Red Bubble as there are a wide array of products and designs there!